The goal of a construction proposal form is to help you provide two sets of information: the necessity of a construction and the benefits of the project. Every construction task you see going on anywhere around often starts with a construction plan. It’s on this plan that the entire structure lies. The best proposals are those that address the fundamental needs of a structure, especially if the project will benefit the lives of many people. you may also see Construction Forms. 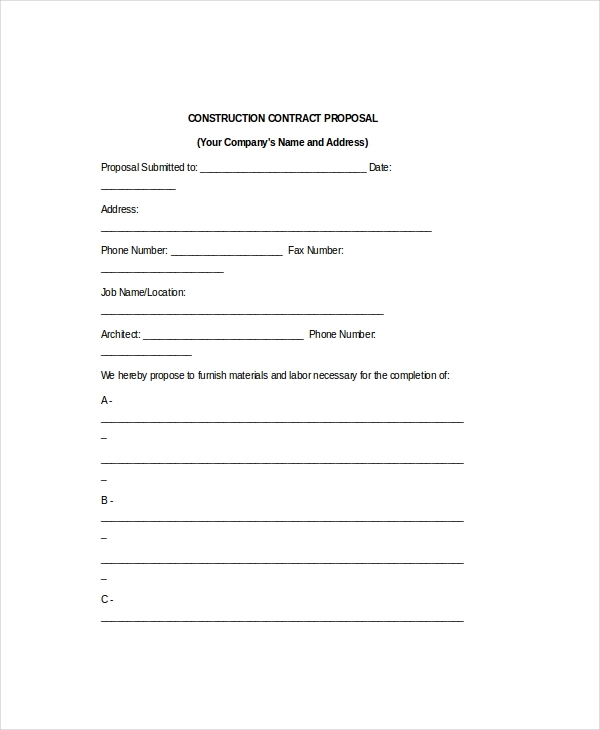 Construction Proposal Form is a free-to-download template that will help you to write your construction project proposal with ease. It comes with extra notes to help you write an accurate proposal. Acceptance forms are an integral part of proposal writing. 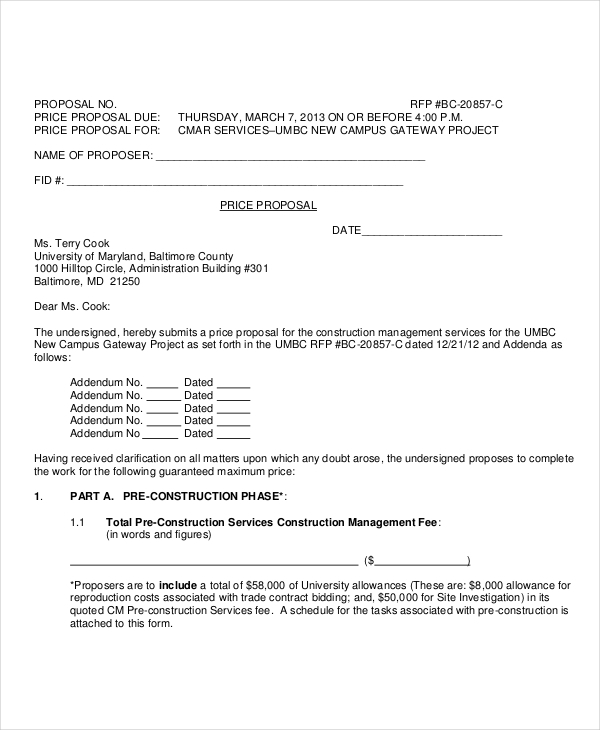 The document is often issued after a review process to signify the acceptance of the proposed construction project. Download the template for free. When a client advertises a construction job site, it means that many contractors can see the post. The best way to win the job is to write an impressive bid, which you can do by using this form. 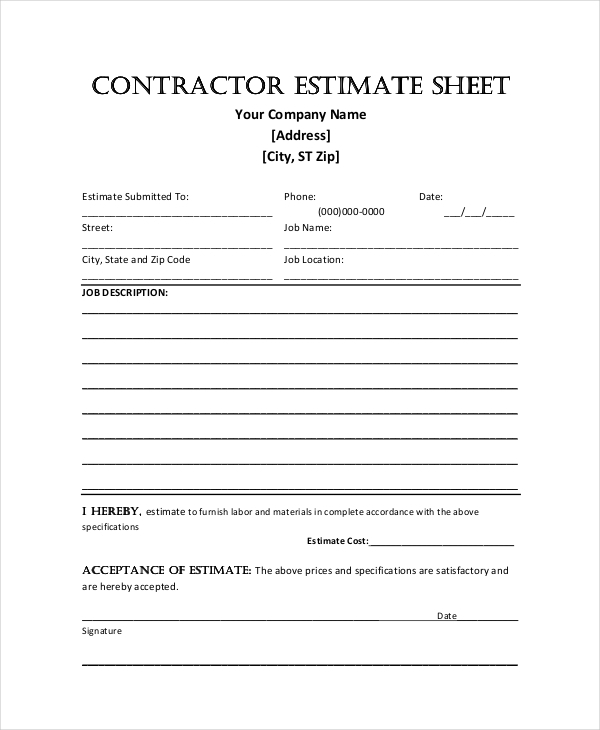 The estimate form is used to describe the approximation of an ongoing or upcoming project. 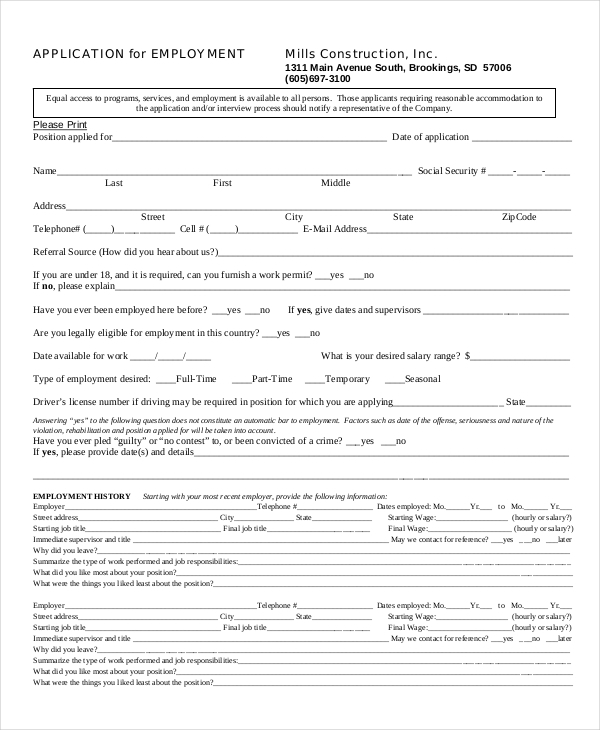 It is best to fill this form carefully because the success or failure of a project depends on it. Writing a Construction insurance proposal is often delicate; so you should spend enough time doing the task. Accuracy, of course, is necessary. Proofread the content of the form before submission. 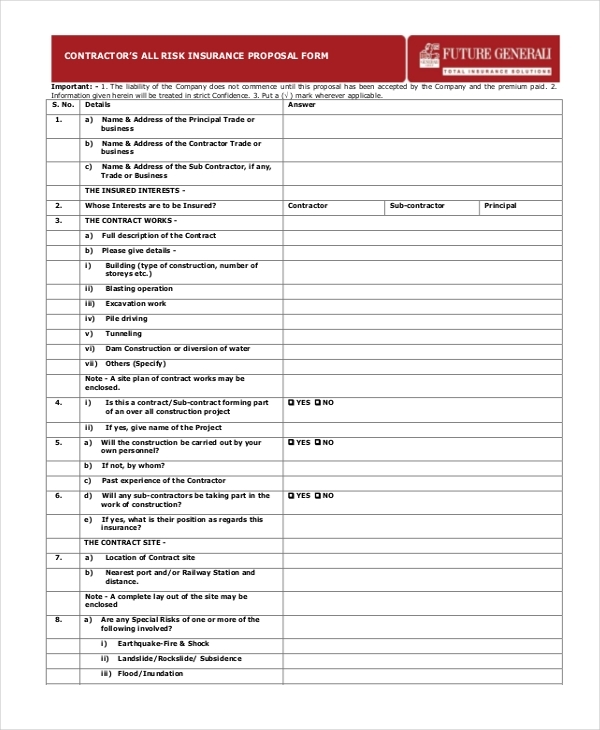 This form is very instrumental for construction companies that would like to work on bigger projects advertised by clients. 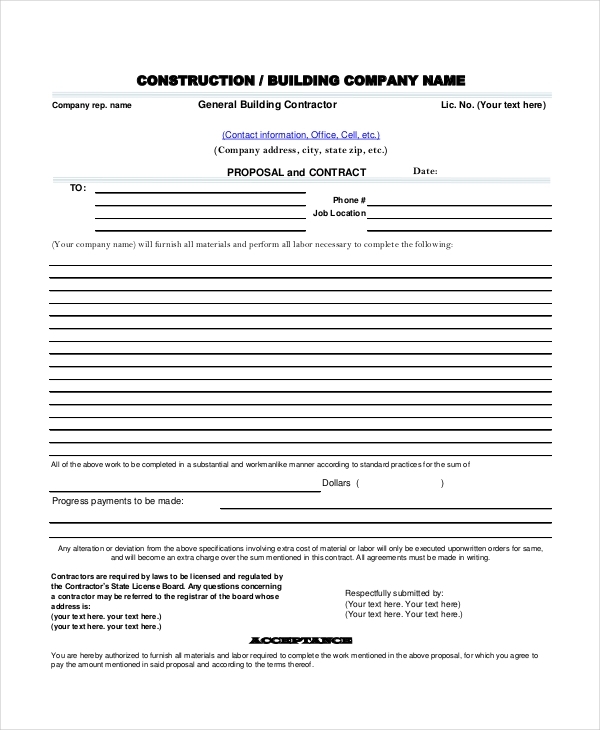 Use this form as a marketing tool to land the construction deal. 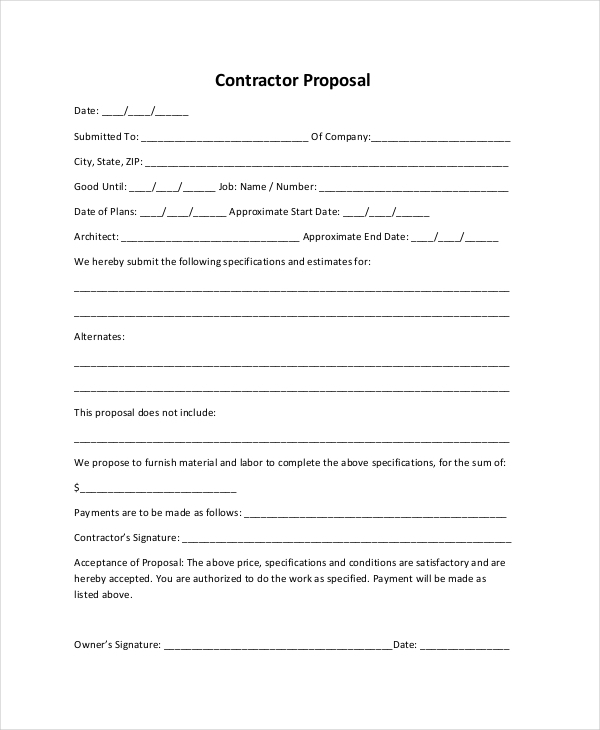 Use this form if you would like to request a contractor to help you with construction proposal writing. Because the form is already complete with regard to layout design, there won’t be a need to make any adjustments. What is a Construction Proposal? Remember, a proposal is just a suggestion. Albeit it might take time to write the document, spending time on the task and giving your best inputs should yield results. A construction project that started without a comprehensive proposal almost always goes over-budget and falls behind schedule. The problem here is that you end up spending more than you actually should. A proposal form, on the other hand, eliminates these inconveniences by helping you to plan the project accurately, particularly on the budgeting part. Because the proposal of the project often highlights the nature of the project, your budget limits won’t extend beyond the leeway of the project. It is important to know where money is going and what it does, a more reason why a proposal is necessary before the construction project starts. Unless you use the forms to lay a broad foundation for the construction concern under discussion, readers will never give the document the attention it deserves. Your description must never go beyond the margins of construction, and the reasonability and originality of the proposal will depend on the exact nature of the construction’s perimeters.